A Grafton-based digital marketing firm run by millennials is growing as it attracts even international clients. The idea behind Proximo Marketing Strategies was to give businesses a way to outsource their digital marketing with access to various skill sets so they didn’t have to hire someone in-house or contract with various folks for multiple needs, Buzzell said. Proximo started in 2013 and operated on McLaws Circle in James City County before moving into the York County Chamber of Commerce building along Route 17 in January 2016. Now, the firm employs seven people and is looking to expand more this year, she said. In the latter part of 2016, Proximo began attracting clients that had a presence in Europe and Canada, Buzzell said. Much of that attention can be attributed to Proximo’s online and social media presence in addition to Buzzell’s networking and relationship-building. Buzzell hasn’t been shy about her faith and believes God has steered clients toward Proximo as well. Rather than trying to “keep up with the Joneses,” Buzzell said she would rather be authentic and open while sticking to her values. 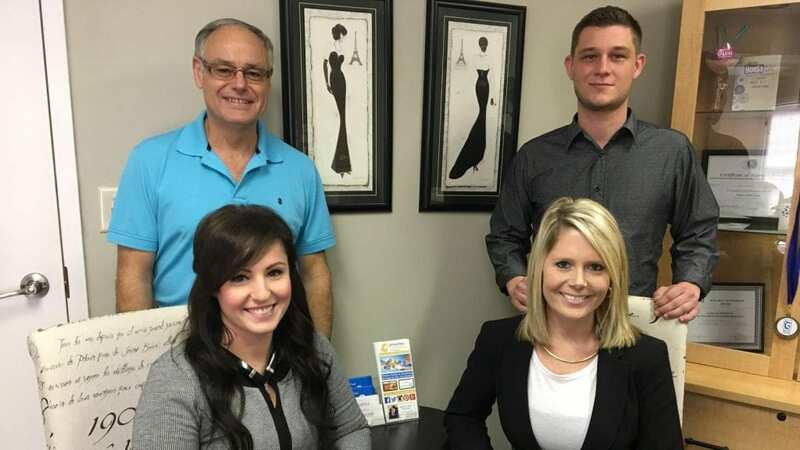 Buzzell got on the marketing track while working for dentist James A. Burden’s practice in the Williamsburg area. She joined a local Business Network International group to network as a representative of the practice and kept running into other business folks who asked if she could help them with marketing as well. After watching the charismatic and high-energy Buzzell interact with patients, Dr. Burden’s office knew she was the right person for the job, office manager Amy Eveland said. Buzzell had outsourced some of her digital work while at the dental practice to Will Melton, an owner of Computer Concepts, and they later teamed up to form Proximo. Melton left in November 2015 to pursue marketing in New Haven, Conn.
Buzzell witnessed both the business success of her real estate broker and contractor parents as well as their struggle during the Great Recession after the housing crisis. Still, Buzzell wasn’t afraid to take the risk to change course and branch off on her own. In 2009, the single mom changed her mind about attending law school to focus on providing for her son, who is now 12. Law wasn’t something she truly wanted to do so much as wanting the prestige of it, she said. Buzzell finds that keeping it real is empowering to the folks she meets. Now, Buzzell is finding a voice in motivational speaking after sharing her story in various presentations, including for the Peninsula Women’s Network, of which she is now president. Shelley Smith, former president of the network and owner of the Premier Rapport business consultancy, recalled when Buzzell cried when telling the “why” behind what she does. “The success of her business and the success of any business is predicated on your ability to connect to people and be your authentic self,” Smith said. Proximo lead digital strategist Drew Faithful, 29, said the firm kept its focus on taking care of clients instead of how it was going to grow with the faith that growth would come naturally. Fortunately, it did, he said.